Bobby Brown has released a statement concerning the rumors of daughter Bobbi Kristina's family coming to say good bye as well as other rumors. A new statement released by Bobby Brown, and shared with CBS News through his lawyer, says such reports are false. DailyMail insists that doctors at Emory University Hospital in Georgia ended life-support to the 21-year-old with her father Bobby Brown at the hospital with friends and relatives. Earlier, People published a report stating that after doctors at Emory University Hospital in Atlanta said there is nothing else they could do for Bobbi Kristina, the family decided it is time to come together to say their final goodbyes. They reportedly obtained this information from two of the ‘family members’ who have come forward with something to say to the media about Bobbi Kristina’s condition. 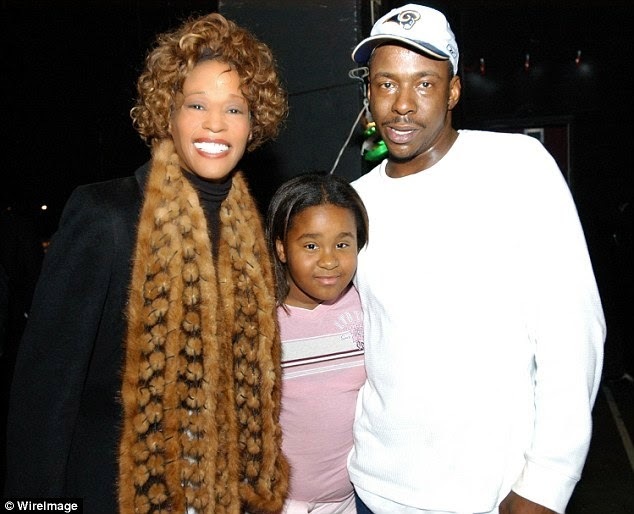 Bobbi Kristina is the only daughter of famed singer and actress Whitney Houston, who died in tragically similar circumstances. Whitney Houston was found in a bathtub from an 'accidental' drug overdose almost exactly three years ago, in Feb 2012. Authorities found a dozen prescription drug bottles in her Beverly Hills Hotel suite and listed heart disease and cocaine use as contributors, but concluded that she accidentally drowned. Questions still remain over what part drugs - if any - played in the Bobbi's sad story; police reportedly found narcotics in her home during a second search last weekend.